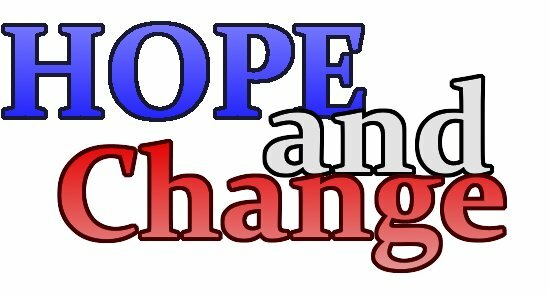 Hope and Change and Change and Hope and … Get Over it! Webster’s dictionary defines hope as a feeling. I believe that hope begins with a thought, a frame of mind, and that thought causes us to feel a certain way, and then we act on that feeling. Nearly 4 years ago the world was filled with the idea of hope, actually hope and change. Four years later many people are filled with a sense of hopelessness because promises that were made were not kept. In many ways some folks are worse off than they were four years ago. If you sat around and waited for someone else to step up and deliver you a basket full of hope, I can’t imagine you’re beaming with hope right now. And for the record it doesn’t matter who’s driving the bus! This is not a statement about politics, it is a gentle reminder that no one … absolutely no one … is going to fulfill your dreams. Not the government, your employer, the church, your spouse, your favorite sports team, or any other external factor … CREATING YOUR DREAMS AND ACHIEVING SUCCESS IS TOTALLY AND COMPLETELY UP TO YOU! Sitting around and waiting for someone else to give you what you need will lead you down a path alright … a path that ends in hopelessness. Agree to take 100% responsibility for everything in your life … no excuses! Stop hanging around negative people who don’t line up with your values, your beliefs, or don’t believe in you … regardless of who they are. Stop watching the television and reading the newspaper. My friend Kama calls them hopesuckers and she’s right, they will literally drain you of any hope you that you have quicker than you can say lick-ity-split! Start reading books that will help you get what you want. Here are 3 I recommend: The Power of Intention by Wayne Dyer, The 7 Spiritual Laws of Success by Deepak Choprah, and Power versus Force by David Hawkins. Decide that you already have everything you need in this moment to get the results that you want. Start meditating on a daily basis so that you can clear your mind of all of the distractions and old beliefs that are getting in the way of your dreams. Remember this is your one and only one life and that you are never too old to realize your dreams. Colonel Sanders was 66 years old when he started Kentucky Fried Chicken. Live as if everything you do will be the last time you will ever do it. Your last blog, kiss, sales call, etc. Remember that you are amazing and extraordinary and you have limitless possibilities. That is my hope for you! Thanks Joe, this is a great list! I do several of these things and they have made a huge difference in my life (especially the choosing of who I hang out with and regular meditation). And I love the reminder of living as it it is the last moment and that it is never too late (great Colonel Sanders example)! Thanks for reading Paula have an amazing day!